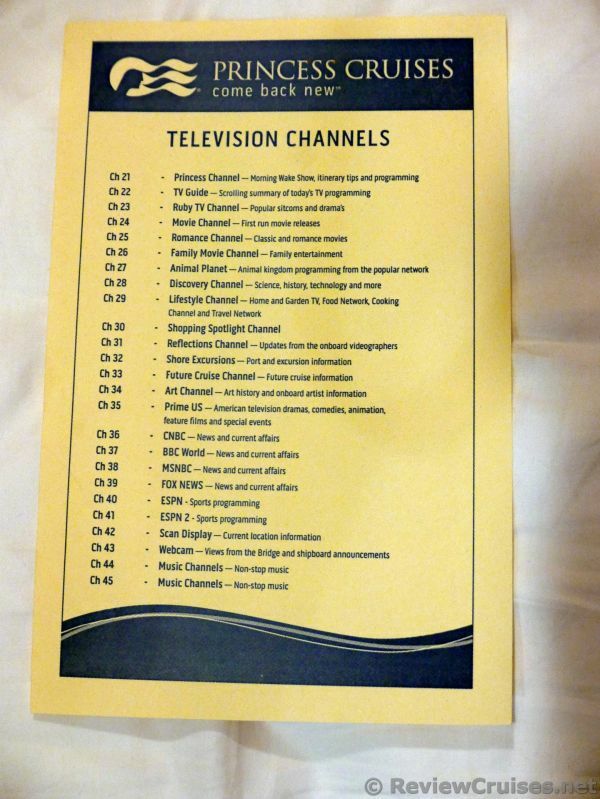 From our recent cruise aboard the Emerald Princess, we obtained a list of the television channels of programs available inside the cabin. 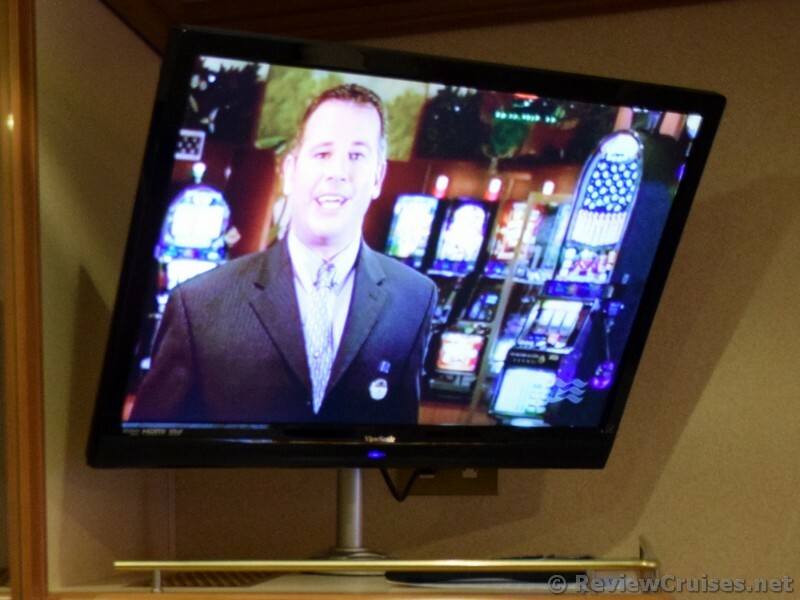 Our stateroom had a nice 32" flat screen TV. The lineup of stations looks to be plenty, but actually many of them are used by Princess to advertise excursions, future cruises, etc. I was a bit disappointed that there was not a single sports channel- no ESPN or Eurosport even though on the listing it said it had it. Perhaps it was an anomaly for this particular cruise. I am pleased to report, however, that they did show live Football games on the big "Movie on the Stars" screen on deck 15 midship. An NFL Sunday game was shown, as was the Monday Night Football game. Unsurprisingly, there was no specific channel for kids- no cartoons or educational children's programming. 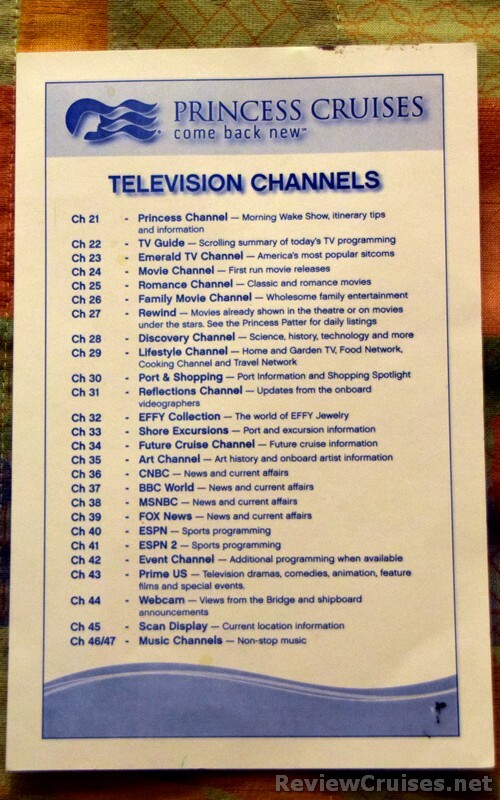 Channel 26 was added, called the "Family Movie Channel"
See the attached image for the updated Princess Cruises in-stateroom television lineup.